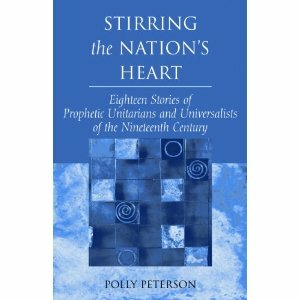 I have been reading Polly Peterson's book, "Stirring the Nation's Heart: Eighteen Stories Of Prophetic Unitarians and Universalists of the Nineteenth Century". She tells the stories of a lot of interesting people like Julia Ward Howe, William Ellery Channing, Ralph Waldo Emerson, Henry David Thoreau, Judith Sargent Murray, Bronson Alcott, Elizabeth Palmer Peabody, etc. I don't know if we have similar luminaries today, but these folks in the 19th century were special and very important not only to Unitarian Universalist history, but to the Nation's and to the world. I thought that I would write here about what has stood so far about the characters in the book, but each one has touched me in some way. So I think that one by one I will write briefly about them all. 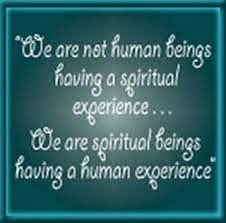 So come back every day to UU A Way Of Life as I share with you the thoughts and ideas that have been stimulated by Polly Peterson's great book. If you can get a copy and read along with me, that would be even better. I am not much of a historian and know very little about these people so please leave your knowledge, thoughts, and ideas in the comments. 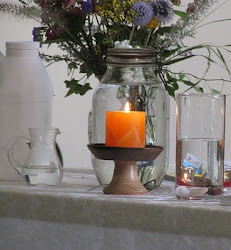 If you have an essay or article you would like to appear on the UU A Way Of Life, let me know and we can publish it here. This is article #1 in a series on Stirring The Nation's Heart (STNH). Thanks for the 'stiring' words. I look forward to more. And all your postings from music to podcast.